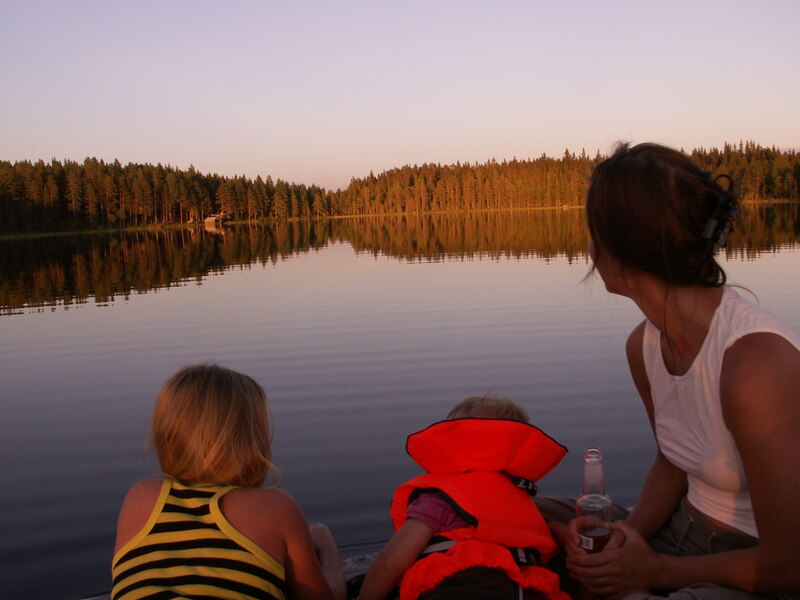 Swim, fish and enjoy swedish wildlife at our own forest lake Djuptjärn – a place that creates harmony. Djuptjärn is a forest lake that lies between forested mountains in the middle of vast land. Norrigården has two very beautifully situated hunting and events cottages located at this spot. There are no other cabins around the lake. Here you can experience the total silence of wilderness while you swim, fish or barbecue. A dock, boathouse with boat and canoe, barbecue area and porch are located down at the lake. Sauna and hot tub can be enjoyed year around. In the lake there are plenty of pike and perch and in the connecting waterways you can catsch brook trout. The fish is caught with advantage from the raft equipped with quiet electric motor. Djuptjärn also works great as a creative meeting place for both informal and formal conversations.